Not really a recipe but these are homemade tortilla chips that we often make. 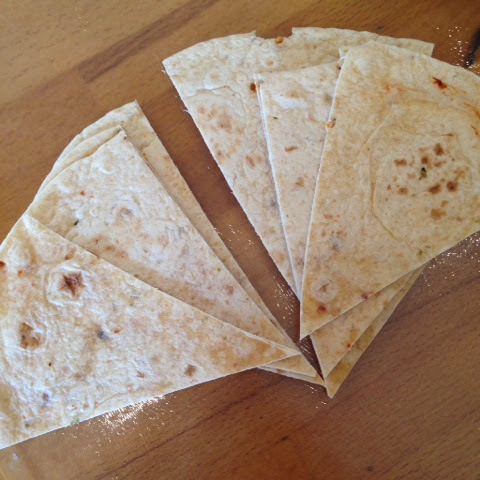 We serve them with anything Mexican or with veggies and dips. 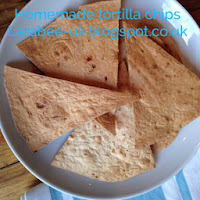 T loves them so they are a great healthy toddler treat too. 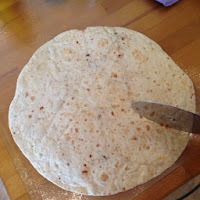 Using any flavoured tortillas slightly changes the taste, these were sweet chilli flavoured and probably my favourite. 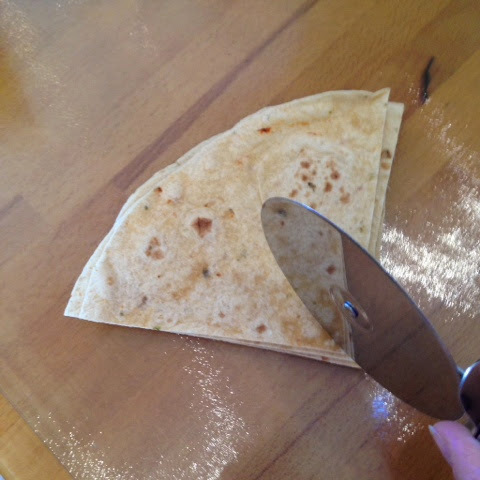 Start with your tortilla wrap(s) and using a pizza cutter slice approximately in half. Cut into quarters, each time making a new pile of tortilla and cutting through. 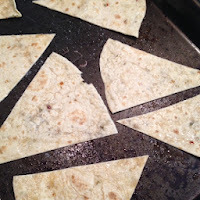 You should get 8 generous sized 'chips' from each tortilla wrap. 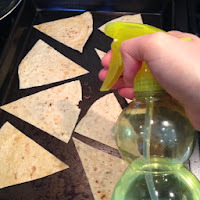 Place them flat on a non-stick baking tray and spray with water (you can use a pastry brush and water if you don't have a spray). Bake for 15 mins in fan assisted oven, no need to pre-heat! Serve either hot or cold.